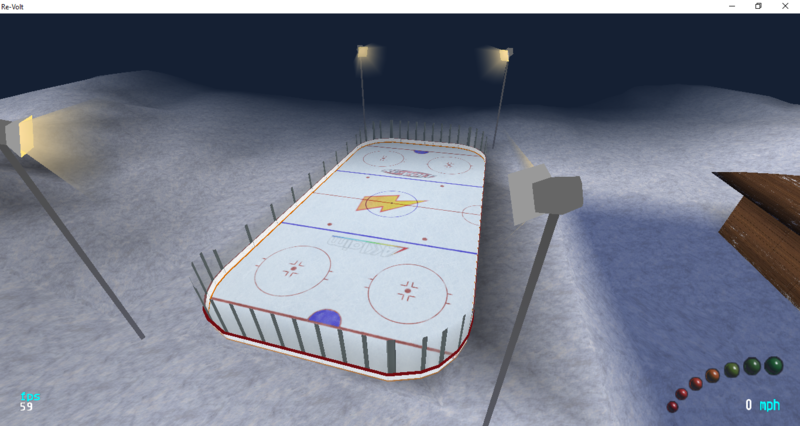 Intimidating name aside, it's a hockey rink, designed for Battle Tag... Although I don't know how to turn this into a Battle tag arena, but I could at least try. [ALREADY ADDED] - Add Plexiglas walls, so cars who had the uncanny ability to drive up & over these walls have no chance of getting out. -Some sorcery on turning this into a battle tag map. I improved the entire arena. I've added some alpha transparency on the outer walls, the lights, and the glass walls (thanks to a new update where the black reflections aren't viable. Simply done, but I want to not jump far ahead of things. I'm a bit of a multi-tasker of all things in case you asked. I submitted it to RVZ, but we had to wait if it gets uploaded or not.